Lashley + Associates Corporation is an award-winning, Ottawa-based firm, with over 33 years of experience in providing landscape architecture, site planning and site engineering services in the public and private sector. In 2016, the firm expanded by opening a Montréal office to serve the Quebec market. 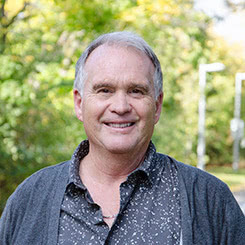 The knowledge and insight of the firm’s Principal Landscape Architect, David Lashley, is exhibited by almost 4 decades of practice, diversified projects, numerous clients, and sincere personal enjoyment for both the profession and practice of landscape architecture. To date, David and Lashley + Associates have completed over 900 projects in residential, commercial, institutional, urban design, parks, recreation, industrial, transportation and tourism. Our passion for landscape architecture shines through all of our staff and associates. Evidence of our exemplary design services and award winning projects are demonstrated in our Project Profiles. “I love life; my family and all my seven kids; love being a landscape architect and a hockey goalie. What more could I ask from life? I have a broad range of interests that drives everyone in my family wild because I’m always doing something; helping my kids with school, piano practices, and skating, hockey, skiing at Calabogie and Jay Peak, camping, walking in Europe, Christmas, fly fishing in NY, climbing in the Adirondacks, travelling to Newfoundland and to BC to visit family, off-roading my Land Rover, canoeing in Algonquin, watching live football, the odd beer, good wine, great food keep me busy after hours, and working with a terrific staff at our office studio on a wide range of interesting projects keeps me more than busy”. Growing up on an Ottawa Valley farm, in a small town coupled with extensive travel and camping in Eastern Canada and the United States, generated Dave’s interest in the different natural and cultural landscapes of North America. Dave believes that understanding the intertwined relationships of people and nature is key to the design of various landscapes that address people’s needs while respecting the need to protect natural systems and create a truly sustainable world environment. As a high school student he thought he would be an architect because he loved to draw and build things, but his love of being in natural settings continued to lead him to look for something else. One day in his guidance office, flipping through university courses, he noticed the term “landscape architecture”. “I had no idea what the profession was, but it seemed to be the right fit”, says Dave. After a couple of years at university and some real “soul searching”, Dave realized that the profession really did fit him. Dave notes that he was lucky in his early career to work with Provincial Parks in both Alberta and Prince Edward Island developing a clear understanding of human influence on nature and a sustainable design philosophy. His PEI experience allowed him to broaden his knowledge of design to include architecture, engineering, and landscape architecture while he was the Supervisor of Design for Parks and Tourism. “Entering the world of private practice in an urban environment in Charlottetown and then Ottawa proved to be exciting as the range of projects ensured that I would never have a dull day at the office”, says Dave. In November 1986, the decision to start Lashley + Associates was an exciting period for Dave. Despite a number of recession periods and personal challenges over the past quarter century, Dave has enjoyed building this firm into one of Eastern Ontario’s premier LA practices. “Today, the firm is both experienced and youthful with an exciting future in landscape architecture”, says Dave. “Thank you to my family, friends, staff, colleagues and competitors who have helped shape me, and my practice as a landscape architect”. 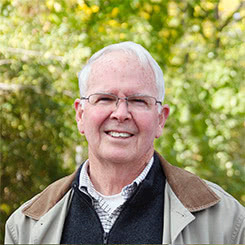 James (Jim) Clark has over 40 years experience as a Landscape Architect and Urban Designer in the public and private sector. He brings to the firm his recognized and lauded expertise from his extensive experience working with agencies such as the National Capital Commission and Parks Canada. Jim takes pride in continually pushing the envelope for green practices in landscape architecture. He is always on the cutting edge of design and enjoys traveling throughout North America to various urban hubs exhibiting excellence in design. Some of his most notable work with Lashley + Associates has included the Millennium Forest Concepts for the National Arboretum at the Central Experimental Farm, Sparks Street Mall Phase 1 Accessibility and Smyth Road Subdivision Design among many others. Ric Carreon has worked as a Landscape Architect since 1998 and is a LEED Accredited Professional. During his career he has played an active role on a wide variety of landscape architectural design, urban planning, recreation, facility and land development projects for private and public sector clients. His responsibilities include project programming, site assessments, planning, concept development and evaluation, preparation of cost estimates, construction co-ordination, administration and project management. 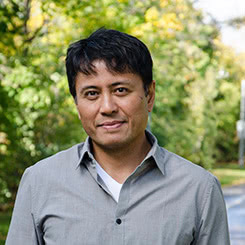 Ric’s knowledge of the interconnections between physical, social, economic and natural systems are reflected in his designs and balanced to create healthy and viable spaces. He is particularly interested in universal design, international development, pedestrian and cycling circulation and the study of urban ecology. 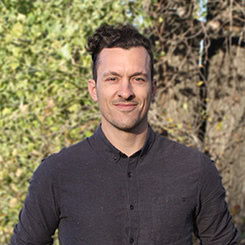 Ryan holds a master’s in Landscape Architecture (MLA) from the University of Guelph and an undergraduate degree from the University of Toronto. Landscape architecture was a natural extension from an architectural background, blending his love of the outdoors with a sense of design & construction pragmatism. On top of being a Landscape Architect, Ryan is also an ISA Certified Arborist. He has conducted tree inventories and health assessments across Ontario. Ryan has experience in a wide variety of projects including development based assessments and reports, private inventories, health assessments and tree resource valuation. 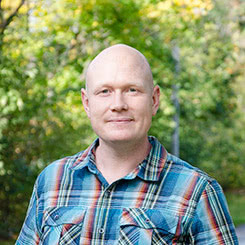 Ryan also sat on the Board of Trustees for the Canadian TREE Fund from 2013 to 2019 – a non-profit organization dedicated to the advancement of Arboricultural knowledge through scientific research. Ryan grew up in Southwestern Ontario in a rural setting and a love of the outdoors has continued throughout his life. He can often be found prowling streamsides or field edges for that next great catch. Marina grew up on a small dairy farm in southwestern Ontario where she spent most of her childhood outdoors. Her hobbies include hiking, biking, canoeing, snowboarding, photography, and travel. Although she loves to spend time at home with family, travelling and experiencing new places is what really inspires her. Marina chose the landscape architecture career because it blended all things important and interesting to her. She is passionate about designing outdoor spaces for people of all ages and abilities to enjoy. Her design interests, which stem from her rural upbringing, include designs for permaculture and urban agriculture. However, her travels have developed her interest in the unique designs that come from small, urban sites and dealing with integration of nature in the city. After graduation from the University of Guelph in 2012, Marina began working for a small residential design firm in Guelph. This job exposed her to working directly with clients and contractors and helped develop her understanding of the construction process. Moving to Lashley + Associates in 2013, Marina has found passion working on larger scale and more diverse design projects. 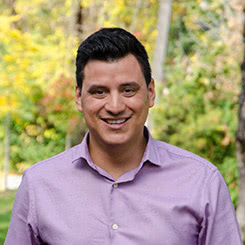 Edgar Ramirez is a landscape architect from Montreal, where he graduated and practiced for 4 years before moving to Ottawa in 2015 to join Lashley + Associates. In 2016, Edgar moved back to Quebec to open our Montréal office. His love for architecture and natural elements has led him to work on projects from master planning to residential landscapes. His vision is to design spaces that take into account the past a well as the present and benefit all users. He has experience in the conception of design, details and construction drawings, as well as on site construction experience. He also worked on master plan projects in France and Japan, which gives him a new look on landscape and urban design. 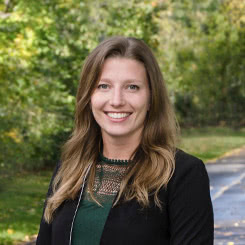 Valerie Hough is a Landscape Architect originally from the Toronto area. 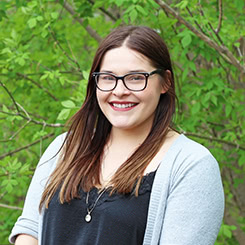 She graduated from the University of Guelph in 2013, and has worked in Landscape Architecture in Ottawa since, joining Lashley + Associates in 2016. Valerie’s interest in landscape is embedded in biophilia, the concept that expresses that humans have an innate connection to nature. She values landscape architecture for its unique ability to foster mutually beneficial relationships between people and the natural environment. 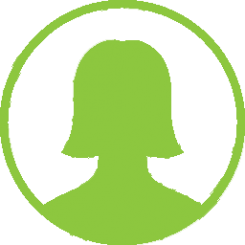 Valerie has experience in transportation-oriented design, trail design, and public urban space. 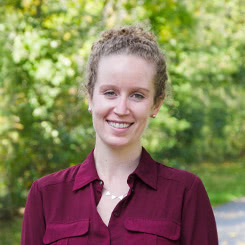 She has always loved working with people, and appreciates the collaborative aspects of landscape architecture. Coleman Ney is a landscape architectural intern with a broad range of interests including experiential design, accessibility, and computer-based environmental visualization. 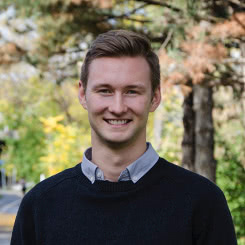 Coleman obtained his Bachelor of Landscape Architecture from the University of Guelph in 2016 before moving to Ottawa, where he joined Lashley + Associates in 2016. Coleman has a background in playground design as well as experience working in varying scales and complexity of landscapes. He previously worked in landscape construction & maintenance, and has more recently taken on a variety of tasks that include research, conceptual design, presentation preparation, and more. 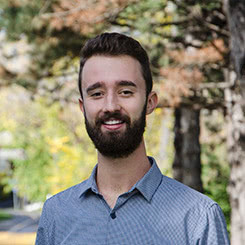 Jason Connacher is a landscape architectural intern from Richmond, B.C. He joined Lashley + Associates soon after graduating from the University of Guelph with a Bachelor of Landscape Architecture degree in 2017. Jason, having previously worked in landscape construction and maintenance, has developed an understanding of the technical and ecological facets of the industry. Throughout his education he has developed a deeper joy and appreciation for concepts such as environmental stewardship, urban planning and large-scale landscape design. His goal is to help form a global community that more openly recognizes and support the rehabilitation of our natural landscapes while continuing to provide comfortable and liveable social environments for all people. After a significative career as an athlete in an elite amateur sport, Jonathan Pelletier turned to a new discipline that allowed him to naturally translate his passion into it. He immediately considered landscape architecture as a field of the future that meets his interests for conceptual creation as well as his desire to intervene in space, simply by doing the right thing. He began his studies at the University of Montreal where he completed a BAC and a Masters in Landscape Architecture. Subsequently, he worked in a firm that allowed him to quickly have a concrete experience in the field and perfect his learning by following the work and the realization of a major urban project. Highly interested in the versatility of this field, Jonathan wants to be involved in the process leading to projects that meet today’s challenges. Razane studied landscape architecture at the American University of Beirut. Her studies pushed her to explore the different branches of the field: community based projects, public parks, landscape heritage and ecological conservation, refugee camps, and artistic installations. 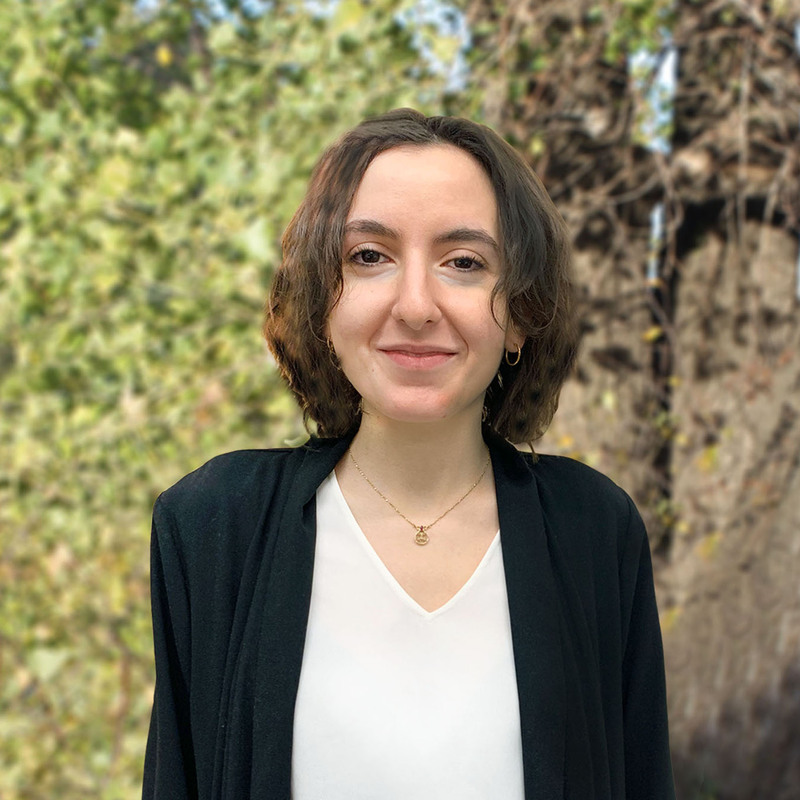 Prior to joining Lashley and Associates in February 2019, Razane worked in the field of public art where she had the opportunity to experiment with punctual interventions. She explores public spaces, architecture and their relationship with people by in her photography, which led her to have exhibitions in Beirut. She enjoys working on community focused and cultural projects and appreciates how landscape architecture merges both the artistic and the functional together. Susan Garwood obtained her Bachelor of Architectural Studies from Carleton University with a focus in Urbanism. Right after, she joined Lashley + Associates in May 2018 as a junior architectural urban designer. Throughout her education, she has developed key interests in master planning, crime prevention through design, and ecological urbanism. While fostering a great respect for animals and the environment, Susan’s goal is to design compelling urban environments that are both accessible and help to improve the natural environment.